Since 2015, Poland has been going through a constitutional crisis related to the position and functioning of the Constitutional Tribunal. The crisis poses a serious threat to the rule of law, separation of powers, and human rights. It has triggered an intense discussion about the role and position of the Constitutional Tribunal in a democratic state ruled by law. The Polish legal community has played a significant role in the entire conflict around the Tribunal, both by participating in the public discussion and by taking concrete steps to solve the problem. The Constitutional Tribunal is one of the key elements of the entire checks-and-balances mechanism in the Polish legal system. It has the power to verify whether legislation – acts, regulations, or international agreements – complies with the Constitution. But the Constitutional Tribunal is also an important element in the human rights protection system in Poland. According to the Constitution, everyone whose fundamental rights or freedoms have been violated has a right to submit a motion to the Tribunal for a verification of a provision upon which the court’s final decision was issued (Article 79 of the Constitution). The ongoing constitutional crisis has two aspects – the first is related to the process of appointing new judges of the Constitutional Tribunal; the second refers to the legislative changes aimed at paralysing the works of the Tribunal. In 2013, Bronisław Komorowski, then President of Poland, submitted a draft Act on the Constitutional Tribunal to the Sejm (the lower chamber of the Polish Parliament). The main theses of this draft were prepared by judges emeriti (Professor Andrzej Zoll, Professor Andrzej Mączyński, and Professor Mirosław Wyrzykowski) of the Constitutional Tribunal1Obserwator Konstytucyjny, Kalendarium prac nad ustawą z dnia 25 czerwca 2015 r. o Trybunale Konstytucyjnym, available at: http://www.obserwatorkonstytucyjny.pl/artykul/kalendarium-prac-nad-ustawa-z-dnia-25-czerwca-2015-r-o-trybunale-konstytucyjnym/.. The Act was aimed mainly at facilitating the works of the Tribunal and at regulating different aspects of the proceedings, such as the participation of non-governmental organisations in the procedure. The works on the draft lasted for more than a year and a half. Six months before the parliamentary elections, in April 2015, the governing majority accelerated the work on the new law. In May 2015 – after the first round of presidential elections, won by the Law and Justice Party’s candidate Andrzej Duda – the representatives of the governing majority decided to introduce to the Act a temporary provision regulating the process of appointing judges in 2015. The temporary provision stated that in 2015 the candidates for judges should be presented within 30 days of the act’s coming into force. In 2015, the tenures of five judges (1/3 of the Tribunal) were to expire – three in November 2015 (during the 7th term of the Parliament) and two in December 2015 (during the 8th term of the Parliament). During its last session in October 2015, the Parliament of the 7th term appointed five new judges of the Tribunal. However, the President of Poland did not swear them into office. At the end of October 2015, the parliamentary elections took place in Poland. The Law and Justice Party gained 37.56 % of votes, giving it over 235 seats in the Sejm (out of 460 seats) – the first time since 1989 that the winning party had created a government without resorting to a coalition with other parties. The new governing majority then adopted a set of resolutions declaring the previous resolutions appointing five Constitutional Tribunal judges as non-binding. On 2 December 2015 Sejm appointed five new judges. That night, without any media presence, the President of Poland took the oath from the newly elected judges. On 3 December 2015, the Constitutional Tribunal ruled on the amendment to the Act adopted in June 2015. The Tribunal stated that the Parliament had a right to appoint the exact number of judges whose tenures expired within the term of the Parliament2Case no. 34/15. In this case, the previous Parliament had the right to appoint three judges (since their tenures expired on 3 November 2015 and the Parliament’s term of office ended on 12 November) and the new Parliament had the right to appoint the next two judges. At the same time, the Constitutional Tribunal emphasised that it was the President’s obligation to receive the oaths from the appointed judges immediately. In January 2016, the President of the Constitutional Tribunal announced that the two judges correctly appointed in December 2015 by the new governing majority would be assigned to cases. The remaining three candidates appointed by the Sejm and sworn into office by the President were given the status of the Constitutional Tribunal’s employees. At the beginning of 2016, the Tribunal was composed of 12 acting judges out of 15 envisaged by the Constitution. After the October 2015 parliamentary elections, at an accelerated pace and without any consultation with civil society, the Parliament adopted two amendments to the Act on the Constitutional Tribunal In November and December 2015. Both of those de facto amendments were aimed at paralysing the work of the Constitutional Tribunal. The amendment adopted in December 2015 stated, among , other things, that when the Constitutional Tribunal is deciding on cases concerning an act’s compatibility with the Constitution, it must sit in its plenary formation of at least 13 judges (the Constitutional Tribunal is composed of 15 judges), all rulings should be passed by a two-thirds majority, and cases should be recognised in the sequence in which they were lodged. The Act was adopted by the Parliament on 24 December 2015, and signed by the President on 28 December. The Act came into force on the day of its publication with no vacatio legis. On the next day, the first President of the Supreme Court submitted a motion to the Tribunal to verify the constitutionality of the Act. A couple of days later, similar motions were brought by the Ombudsman, two groups of MPs, and the National Council of the Judiciary. The hearing in this case took place on 8 and 9 March 2016. Government representatives claimed that the case should have been recognised in the light of the amended Act. , But, since the Tribunal did not follow the same logic, the government representatives kept describing the hearing as a “meeting of judges” (in a radio interview, the deputy Minister of Justice suggested that the judges should have treated themselves with espresso and cookies) and the judgement as “a private opinion of the judges.”3Radio Zet, Gość Radia Zet. Patryk Jaki, available at: www.radiozet.pl/Radio/Programy/Gosc-Radia-ZET/Artykuly/Patryk-Jaki-u-Moniki-Olejnik-00019704. The Tribunal found the entire amendment to be in violation of the Constitution. In its judgement, it stated that the “[legislators have to] create the best possible environment for ruling on cases instead of interfering with the process of ruling by setting dates when the Tribunal can examine a particular case.”4Case no. 47/15. The same amendment was also a subject of an opinion of the Venice Commission, which stated that the amendment of December 2015 ”affecting the efficiency of the Constitutional Tribunal, would have endangered not only the rule of law, but also the functioning of the democratic system”. The Venice Commission also noted that ”crippling the Tribunal’s effectiveness will undermine all three basic principles of the Council of Europe: democracy […] human rights […] and rule of law”5Venice Commission, Opinion on amendments to the Act of 25 June 2015 on the Constitutional Tribunal of Poland, adopted by the Venice Commission at its 106th Plenary Session (Venice, 11-12 March 2016), available at: www.venice.coe.int/webforms/documents/?pdf=CDL-AD(2016)001-e.. Although the Tribunal’s judgements are binding and final, the government refused to acknowledge this judgement. The Prime Minister, Ms Beata Szydło, said the ruling was incompatible with the law and refused to publish it in the Official Journal of Laws6Rzeczpospolita, Wyrok Trybunału Konstytucyjnego z 9 marca ws. nowelizacji ustawy o TK autorstwa PiS, available at: www.rp.pl/Sedziowie-i-sady/303099926-Wyrok-Trybunalu-Konstytucyjnego-z-9-marca-ws-nowelizacji-ustawy-o-TK-autorstwa-PiS.html.. In this respect, the government disregarded the opinion of the Venice Commission which called this refusal “an unprecedented move” which “would further deepen the constitutional crisis”7Venice Commission, Opinion on amendments to the Act of 25 June 2015 on the Constitutional Tribunal of Poland, adopted by the Venice Commission at its 106th Plenary Session (Venice, 11-12 March 2016), available at: www.venice.coe.int/webforms/documents/?pdf=CDL-AD(2016)001-e.. The judgement of 9 March did not end the process of legislative changes in the Act on the Constitutional Tribunal. At the end of July the Parliament adopted another Act regulating the works of the Constitutional Tribunal. The new Act included: a rule of examining cases in the order of submission (this time providing certain exceptions), a blocking mechanism in the decision-making process (a minimum of four judges can postpone the ruling of the Tribunal for up to six months), and a mechanism allowing the executive power to influence the Tribunal’s works, namely if the case had to be recognised in the presence of the Prosecutor General and he did not show up to the hearing, the hearing would have to be postponed. On 11 August, the Tribunal declared some of the amended provisions unconstitutional. Again, the executive power said it would not acknowledge the verdict as such and, in particular, would not publish it in the official journal. The scope and scale of the crisis poses a serious threat to the key pillars of a democratic state. The crisis showed a very disturbing trend in which the governing party attempts to change the entire political system using lower-rank laws, such as acts and resolutions without, however, changing the Constitution (since it does not have the required majority to do so). The discussion that accompanies these changes is deeply polarising the Polish society. The constitutional crisis provoked a vivid public discussion regarding the Constitutional Tribunal’s role and, in a broader context, about safeguarding the rule of law in a democratic state. While justifying the legislative changes concerning the Constitutional Tribunal, the governing majority used a whole range of arguments and presented the Tribunal as an inefficient, political body. The representatives of the governing majority described the Constitutional Tribunal as “the last bastion of the Civic Platform’s power”8wPolityce, Ziobro o nowelizacji ustawy o TK: „Ludzie, nie dajcie się robić w baranki. Ta ustawa sprawi, że padnie ostatni bastion Platformy, który miał blokować dobre zmiany w Polsce”, available at: http://wpolityce.pl/polityka/275953-ziobro-o-nowelizacji-ustawy-o-tk-ludzie-nie-dajcie-sie-robic-w-baranki-ta-ustawa-sprawi-ze-padnie-ostatni-bastion-platformy-ktory-mial-blokowac-dobre-zmiany-w-polsce. that was supposed to block all “good reforms and changes planned by the Law and Justice”. Furthermore, a vast part of the criticism formulated by the governing majority against the Constitutional Tribunal focused on the Tribunal’s President, Professor Andrzej Rzepliński. Many representatives of the government accused him of being a politician and a close ally of the Civic Platform. The Minister of Justice Zbigniew Ziobro called him “a full-fledged politician”9Rzeczpospolita, Ziobro: Rzepliński to polityk całą gębą, available at: www.rp.pl/Rzad-PiS/160809375-Ziobro-Rzeplinski-to-polityk-cala-geba.html. and the Minister of Foreign Affairs Witold Waszczykowski said ”the President of the Constitutional Tribunal seems to behave more and more like an ayatollah from Iran”10TV Republika, Waszczykowski: Pan Rzepliński coraz bardziej przypomina mi ajatollaha z Iranu, available: http://telewizjarepublika.pl/waszczykowski-pan-rzeplinski-coraz-bardziej-przypomina-mi-ajatollaha-z-iranu,30593.html.. The accusation of being politicised was repeated on numerous occasions and served to undermine the role and position of the Tribunal in a democratic state. In the discussion on the legislative changes, the representatives of the governing majority underlined that the Tribunal had become “the third chamber of the Parliament” and had too much power. It is important to note that the discussion on the Tribunal reached one of its most intense stages just two months after the elections. A victory in the elections provided the members of the governing majority with a solid ground to close ranks with their supporters against the Tribunal, which was perceived as the public enemy No. 1. While justifying the changes adopted by the Act of December 2015, the Minister of Justice kept repeating that the Constitutional Tribunal in its current shape was slow and inefficient. In this context, the minster compared it to the German Constitutional Court and indicated that the latter recognised more than 6.000 cases a year, while the Polish constitutional court verified only 500 cases11TVN24, Polski trybunał pracuje wolniej niż niemiecki? Co kryje się za liczbami podanymi przez Ziobrę, available at: www.tvn24.pl/wiadomosci-z-kraju,3/ziobro-podaje-dane-o-polskim-i-niemieckim-trybunale-konstytucyjnym,606815.html.. Although the spokesperson for the German Constitutional Court did not want to comment and only underlined that “this data cannot be easily compared because of the differences in the procedures before each of the courts”12Gazeta.pl, Niemiecki TK odpowiada Ziobrze: Praca trybunałów w Polsce i Niemczech nie jest wprost porównywalna, available at: http://wiadomosci.gazeta.pl/wiadomosci/1,114871,19413336,niemiecki-tk-odpowiada-ziobrze-praca-trybunalow-w-polsce-i.html., the government kept repeating the argument of the inefficiency of the Polish Tribunal. As the conflict escalated, the governing majority formulated further accusations towards the judges. After the resolution of the Supreme Court declaring that the Court was going to follow the Tribunal’s jurisprudence, the spokesperson of the Law and Justice Parliamentary Club called the judges of the Court “a bunch of buddies who protect the status quo of the former government”13TVN24, “Zebrał się zespół kolesi”. Rzecznik PiS o Sądzie Najwyższym, availabe at: www.tvn24.pl/wiadomosci-z-kraju,3/rzecznik-pis-beata-mazurek-o-sadzie-najwyzszym-zespol-kolesi,639007.html.. Such rhetoric was strongly criticised not only by the political opposition, but also by various legal associations, civil society organisations, and numerous citizens. The protests’ forms varied, from the political debate in the Parliament through official statements by organisations to numerous public demonstrations and assemblies. In the protests against the changes undermining the role of the Constitutional Tribunal, the lawyers’ attitudes stood out significantly. In the face of the populist rhetoric employed by the government, in its message the legal community focused mainly on the legal aspects of the crisis. The reactions of the legal community fall into two categories: participation in the general discussion concerning the changes in the functioning of the Constitutional Tribunal, and institutional actions. Since the beginning of the constitutional crisis, the legal community has played a crucial role in the public discussion. Law faculties of different Polish universities were among the first institutions to take a stance in the discussion. At the end of November 2015, the Faculty of Law and Administration of the Jagiellonian University issued a statement addressed to its alumni and former worker President Andrzej Duda, calling upon them to “respect civic freedoms and rights” and “undertake actions that will prevent the imbalance between judicial, executive and legislative powers”14Law and Administration Faculty, Jagiellonian University, Uchwała nr 303/XI/2015 Rady Wydziału Prawa i Administracji Uniwersytetu Jagiellońskiego z dnia 30 listopada 2015 r., available at: www.wpia.uj.edu.pl/documents/41601/89321185/201512010845.pdf.. Also in November 2015, the Committee for Legal Sciences of the Polish Academy of Sciences issued a statement in which it “opposed any display of constitutional and legal nihilism, of contempt shown for the principles of a democratic state ruled by law, of circumventing or abusing the law, and of exploiting and abusing democratic mechanisms to curtail democracy and the rule of law”15Resolution No. 1/2015 of the Committee for Legal Sciences of the Polish Academy of Sciences adopted on 26 November 2015, available at: http://www.knp.pan.pl/.. This statement was not unanimous – three members of the Committee voted against its publication, stating that “the statement had a sign of a political action”. Those two statements of the Committee of Legal Sciences of the Polish Academy of Sciences and the Law and Administration Faculty of the Jagiellonian University initiated a series of similar statements published by almost all legal faculties of leading universities in Poland. Furthermore, the National Council of the Judiciary of Poland (a constitutional organ responsible for protecting the independence of courts) assumed a very active role in the discussion. At the end of November 2015, the Council adopted resolutions in response to the crisis. In the first, the Council submitted a motion to the Constitutional Tribunal to verify the constitutionality of the amendment to the Act on the Constitutional Tribunal adopted in November 201516National Council of the Judiciary of Poland, Resolutions no. 1252, 1253, 1254 and the statement of 24 November 2015, available at: www.krs.pl/pl/aktualnosci/d,2015,11/3783,uchwala-nr-12522015-krajowej-rady-sadownictwa-z-dnia-24-listopada-2015-r-w-sprawie-skierowania-wniosku-do-trybunalu-konstytucyjnego-o-zbadanie-zgodnosci-z-konstytucja-rzeczypospolitej-polskiej.. The Council also called upon “all representatives of powers and participants of the public discussion to refrain from actions and statements that may influence the Constitutional Tribunal’s ruling”17National Council of the Judiciary of Poland, Resolutions no. 1253/2015, available at: http://www.krs.pl/pl/aktualnosci/d,2015,11/3784,uchwala-nr-12532015-krajowej-rady-sadownictwa-z-dnia-24-listopada-2015-r.. Following this resolution, many courts issued official statements regarding the legal and political developments. For example, the General Assembly of Appellate Judges of the Łódź Region adopted a resolution in which it “strongly protested against treating the judicial system as a subject of a political game”18IUSTITIA, Uchwała Zgromadzenia Przedstawicieli Sędziów Apelacji Łódzkiej z dnia 30 listopada 2015 r., available at: www.iustitia.pl/uchwaly/1094-sedziowie-apelacji-lodzkiej-w-sprawie-tk-oraz-publicznych-wypowiedzi-dotyczacych-sadow.. Similar resolutions were adopted by the General Assemblies of Judges of Regional Courts from almost every part of Poland (e.g. Szczecin19Association of the Polish Judges IUSTITIA, Uchwała Zgromadzenia Ogólnego Sędziów Apelacji Szczecińskiej z dnia 1 grudnia 2015 r., available at: http://www.iustitia.pl/uchwaly/1095-sedziowie-apelacji-szczecinskiej-w-sprawie-tk-oraz-publicznych-wypowiedzi-dotyczacych-sadow., Opole20Association of the Polish Judges IUSTITIA, Uchwała Zgromadzenia Ogólnego Sędziów Okręgu Sądu Okręgowego w Opolu, available at: http://www.iustitia.pl/uchwaly/1095-sedziowie-apelacji-szczecinskiej-w-sprawie-tk-oraz-publicznych-wypowiedzi-dotyczacych-sadow., Rzeszów21Uchwała Zgromadzenia Ogólnego Sędziów Apelacji Rzeszowskiej z dnia 11 stycznia 2016 r., available at: http://www.rzeszow.sa.gov.pl/dmdocuments/A-0000_4_15_59.pdf., Katowice22Uchwała Zgromadzenia Przedstawicieli Sędziów Apelacji Katowickiej z dnia 14 grudnia 2015 r., available at: http://trybunal.gov.pl/fileadmin/content/nie-tylko-dla-mediow/uchwala_apelacji_katowickiej.pdf. and Toruń23Uchwała Zgromadzenia Sędziów Okręgu Sądu Okręgowego w Toruniu z dnia 26 lutego 2016 r., available at: http://www.obserwatorkonstytucyjny.pl/trybunal/sedziowie-z-torunia-o-naruszeniu-konstytucji/.. By March 2016, the judges had expressed their concerns about developments in the constitutional crisis and had protested against violations of the separation of powers and the mechanism of checks and balances as well as rule of law. After the Constitutional Tribunal’s judgement of 9 March 2016, when it became obvious that the government would not acknowledge the judgement and the Polish legal system was on the verge of legal dualism, the courts started adopting resolutions confirming their acknowledgement of the Constitutional Tribunal’s jurisprudence and calling upon the Prime Minister to publish the judgement. In its resolution of 26 April 2016, the General Assembly of the Judges of the Supreme Court stated that according to the law, ”the judgements of the Constitutional Tribunal should be published immediately. The unpublished judgement of the Constitutional Tribunal finding an act unconstitutional revokes the act’s presumption of constitutionality at the moment when the Tribunal announces its judgement.” The resolution was motivated by the necessity to protect the unity of the judiciary24Supreme Court, The resolution of the General Assembly of the Judges of the Supreme Court, available at: http://sn.pl/aktualnosci/SiteAssets/Lists/Wydarzenia/NewForm/Uchwala_Zgr_Og_SSN_26_04_2016.pdf.. One day later, the Collegium of the Judges of the Supreme Administrative Court adopted a similar resolution25Supreme Administrative Court, Uchwała Kolegium Naczelnego Sądu Administracyjnego z dnia 27 kwietnia 2016 r., available at: www.nsa.gov.pl/komunikaty/uchwala-kolegium-naczelnego-sadu-administracyjnego-z-dnia-27-kwietnia-2016-r,news,4,309.php.. 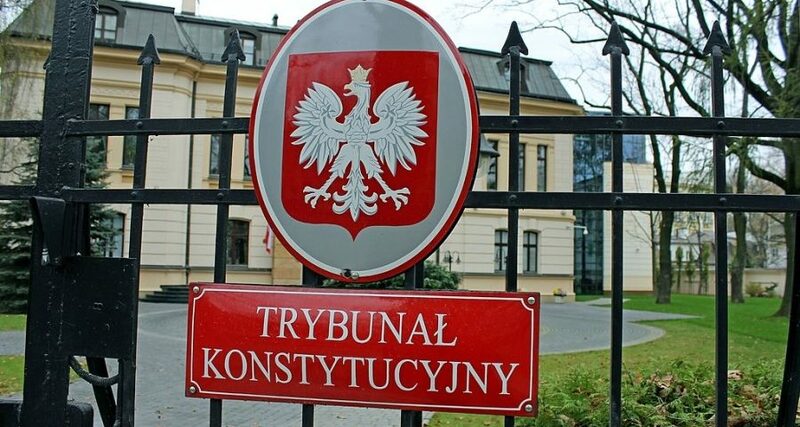 Following those statements, general assemblies of judges in various courts in different parts of Poland again adopted resolutions acknowledging the Tribunal’s jurisprudence and calling upon representatives of the executive power to acknowledge and respect the Tribunal’s jurisprudence (e.g. the resolution adopted by the judges in Poznań26Association of the Polish Judges IUSTITIA, Uchwała Zgromadzenia Ogólnego Sędziów okręgu Sądu Okręgowego w Poznaniu z dnia 9 maja 2016 r., available at: http://www.iustitia.pl/uchwaly/1244-uchwala-zgromadzenia-ogolnego-so-poznan-9-maja.). The Polish Ombudsman played a key role in the public discussion, explaining the meaning and importance of the Constitutional Tribunal, for instance by listing those judgements which have an important impact on citizens’ lives27Ombudsman’s Office, Wyroki Trybunału Konstytucyjnego, które wpłynęły na życie obywateli, available at: www.rpo.gov.pl/pl/content/wyroki-trybunalu-konstytucyjnego-ktore-wplynely-na-zycie-obywateli.. Furthermore, the former Ombudspersons, Professor Ewa Łętowska and Professor Andrzej Zoll, both of whom are judges emeriti of the Constitutional Tribunal, gave numerous interviews and public speeches explaining the scope of the crisis and the risk it posed to the entire system of the state. National Council of the Attorneys at Law, Stanowisko Krajowej Rady Radców Prawnych z dnia 12 grudnia 2015 r., available at: http://kirp.pl/wp-content/uploads/2015/12/stanowisko-KRRP_12-grudnia-2015.pdf.. After the Tribunal’s judgement of 9 March 2016, the Polish Bar Council published a statement in which it declared its readiness to help in mediation between both sides of the conflict surrounding the constitutional Tribunal29Polish Bar Council, Prezydium NRA deklaruje gotowość mediacji ws. sporu o TK, available at: www.adwokatura.pl/z-zycia-nra/prezydium-nra-deklaruje-gotowosc-mediacji-ws-sporu-o-tk/.. This call remained unanswered. Last but not least, watchdog organisations and legal think-tanks were also engaged in the entire discussion on the changes concerning the Constitutional Tribunal. The Helsinki Foundation for Human Rights, Helsinki Committee in Poland, Amnesty International, a group of experts of the Stefan Batory Foundation, and the Institute of Law and Society presented numerous statements, opinions and legal analyses to the Parliament, media and international institutions and were steering the public discussion. The reaction of lawyers’ professional communities was not limited to participation in the general discussion on the constitutional crisis, but also had a more systemic aspect. In this context, one of the leading roles was played by the National Council of the Judiciary of Poland and the Ombudsman. Each of these institutions submitted their motions to verify the constitutionality of the amendments to the Act on the Constitutional Tribunal of November and December 2015. Additionally, the Ombudsman filed a motion to the Constitutional Tribunal regarding the new Act on the Constitutional Tribunal of July 2016. Furthermore, both the Polish Bar Council and the National Council of the Attorneys at Law undertook actions related to the legislative process concerning the Acts on the Constitutional Tribunal and participated in the hearings before the Tribunal. In November and December 2015, the Polish Bar Council submitted opinions regarding the amendments to the Act on the Constitutional Tribunal to the Parliament30Polish Bar Council, Opinia NRA nt. projektu nowej ustawy o TK, available at: www.adwokatura.pl/z-zycia-nra/opinia-nra-nt-projektu-nowej-ustawy-o-tk/page/32/ and Polish Bar Council, Opinia NRA nt. poprawek do nowelizacji ustawy o TK, available at: www.adwokatura.pl/z-zycia-nra/opinia-nra-nt-poprawek-do-nowelizacji-ustawy-o-tk/page/30/.. In each of these opinions, the Bar underlined that the projected changes may significantly violate the independence of the Constitutional Tribunal and may lead to the paralysis of its works. Furthermore, the Polish Bar Council submitted amicus curiae briefs in all the proceedings before the Constitutional Tribunal which concerned the changes to the Act on the Constitutional Tribunal31Polish Bar Council, Opinia amicus curiae NRA ws. ustawy o TK z czerwca br., available at: www.adwokatura.pl/z-zycia-nra/opinia-amicus-curiae-nra-ws-ustawy-o-tk-z-czerwca-br/page/34/, Polish Bar Council, Opinia amicus curiae ws grudniowej nowelizacji ustawy o TK, available at: www.adwokatura.pl/z-zycia-nra/opinia-amicus-curiae-ws-grudniowej-nowelizacji-ustawy-o-tk/page/24/, Polish Bar Council, Opinia NRA amicus curiae ws uchwał Sejmu z 25 listopada i 2 grudnia ub.r., available at: www.adwokatura.pl/z-zycia-nra/opinia-nra-amicus-curiae-ws-uchwal-sejmu-z-25-listopada-i-2-grudnia-ubr/page/29/, Polish Bar Council, Opinia amicus curiae ws grudniowej nowelizacji ustawy o TK, available at: www.adwokatura.pl/z-zycia-nra/opinia-amicus-curiae-ws-grudniowej-nowelizacji-ustawy-o-tk/page/24/.. Furthermore, the National Council of the Attorneys at Law was engaged to the similar extent. The National Council of the Attorneys at Law prepared opinion regarding the draft Act on the Constitutional Tribunal and submitted an amicus curiae brief in the proceedings before the Constitutional Tribunal concerning the amendment of December 201532National Council of the Attorneys at Law, Komunikat prasowy w sprawie opinii amicus curiae dla Trybunału Konstytucyjnego, available at: http://kirp.pl/komunikat-prasowy-w-sprawie-opinii-amicus-curiae-dla-trybunalu-konstytucyjnego/, National Council of the Attorneys at Law, Opinia Krajowej Rady Radców Prawnych występującej jako amicus curiae dla Trybunału Konstytucyjnego, available at: http://bibliotekakirp.pl/items/show/502, National Council of the Attorneys at Law, KRRP o projekcie PSL dotyczącym zmian w ustawie o TK, available at: http://kirp.pl/krrp-o-projekcie-psl-dotyczacym-zmian-ustawie-o-tk/.. Similarly to the reactions of the society, the lawyers were not absolutely unanimous while assessing the constitutional crisis. However, the voices of lawyers who diverged from the mainstream views and statement were rather isolated. One of the most interesting examples of such reactions is the case of Professor Kamil Zaradkiewicz. In April 2016, a couple of weeks after the Constitutional Tribunal’s judgement of 9 March, Professor Zaradkiewicz, then head of the Tribunal’s Office’s Department of Jurisprudence and Studies, gave an interview for the Rzeczpospolita daily33Gajcy A., Orzeczenia TK nie zawsze są ostateczne, Rzeczpospolita, 19 April 2016, available at: www.rp.pl/Rzecz-o-polityce/304199890-Orzeczenia-TK-nie-zawsze-sa-ostateczne.html.. In this interview, Professor Zaradkiewicz stated that the Tribunal’s judgements were not always binding and final. And he noted that in the Polish legal system there was no mechanism to establish whether the Tribunal’s judgement was issued with a defect. As a consequence, there was no authority that could establish whether the decision made by the Tribunal was a judgement or not. In an interview for the Polish Public Television, professor Zaradkiewicz said that the Tribunal’s judgements could be recognised as final after legal verification carried out by an independent authority34As reported by the Public Television. TVP Info, Zobacz wypowiedź Kamila Zaradkiewicza, przez którą poproszono go o odejście ze stanowiska, available at: www.tvp.info/25116537/zobacz-wypowiedz-kamila-zaradkiewicza-przez-ktora-poproszono-go-o-odejscie-ze-stanowiska..
After these statements, the chief of the Constitutional Tribunal’s Bureau prohibited Professor Zaradkiewicz from giving any further media interviews and suggested that he voluntarily consider resignation from his function (but without termination of the employment contract). The chief of the Bureau said Professor Zaradkiewicz’s statements were unprofessional and in violation of the standards for civil servants. On these grounds, the chief of the Bureau said, the Tribunal had “lost trust in Mr Zaradkiewicz”35The Constitutional Tribunal, Press release of 29 April 2016, available at: http://trybunal.gov.pl/fileadmin/content/nie-tylko-dla-mediow/Komunikat_z_29_kwietnia_2016_r._w_sprawie_sytuacji_dyrektora_ZOiS.pdf.. The case initiated a discussion on the limits of the freedom of speech of civil servants. In defence of Professor Zaradkiewicz, a group of professors and academic teachers of Warsaw University published an open letter. In the opinion of the signatories, the punishment applied by the Chief of the Constitutional Bureau was disproportionate. ”We find such punishment as a form of violation of the freedom of expression guaranteed by the Constitution,” the letter read36Rzeczpospolita, Profesorowie Uniwersytetu Warszawskiego obronie dr Kamila Zaradkiewicza, available at: www.rp.pl/Sedziowie-i-sady/305209927-Profesorowie-Uniwersytetu-Warszawskiego-obronie-dr-Kamila-Zaradkiewicza.html#ap-2..
Two members of the Law and Justice Party sent letters to the Ombudsman and the Helsinki Foundation for Human Rights urging them to intervene in this case and analyse the legitimacy of the prohibition37The letter (in Polish) is available at: www.hfhr.pl/wp-content/uploads/2016/05/HFPC_list_05052016.pdf.. The HFHR responded by explaining that the standards set and shaped by the European Court of Human Rights (ECtHR) indicate that the freedom of speech of civil servants (and especially servants working within the justice system) is limited. On numerous occasions, the ECtHR has indicated that in the case of public officials and professional civil servants, their freedom of expression might be limited by a duty of loyalty to the public body that employs them. In its response, Helsinki Foundation for Human Rights underlined that this duty should be even more strictly respected in the context of the need to ensure impartiality and authority of the justice system38Helsinki Foundation for Human Rights, Public officials’ freedom of speech, available at: www.hfhr.pl/en/public-officials-freedom-of-speech/.. In July 2016, the media reported that Professor Zaradkiewicz had sued the Constitutional Tribunal39TVN24, Z szefa zespołu na asystenta. Po dymisji pozwał Trybunał Konstytucyjny, available at: www.tvn24.pl/wiadomosci-z-kraju,3/kamil-zaradkiewicz-pozywa-trybunal-konstytucyjny,658633.html.. Furthermore, the governing majority turned to lawyers and legal experts in order to seek solutions for the constitutional crisis. In March 2016, the Speaker of the Sejm established a team of independent experts whose task was to prepare a report presenting the possible solution of the crisis. The experts were supposed to verify different sources of information including the opinion of the Venice Commission40Sejm, Spotkanie Zespołu Ekspertów do spraw problematyki Trybunału Konstytucyjnego, available at: www.sejm.gov.pl/sejm8.nsf/komunikat.xsp?documentId=56063CB59E91F3C8C1257F870053B175.. In August 2016, after the Parliament had adopted the new Act on the Constitutional Tribunal, the experts published their report. They underlined that some assessments made by the Venice Commission were based on unreliable argumentation and that the Venice Commission “did not recognise the entire constitutional system in Poland”41Gazeta Wyborcza, Zespół Kuchcińskiego przedstawił raport. “Wiele stwierdzeń Komisji Weneckiej ma charakter błędów bądź przeinaczeń”, available at: http://wyborcza.pl/1,75398,20486428,zespol-kuchcinskiego-przedstawil-marszalkowi-raport-wiele.html. . In the first part of the report, the team of experts disputed the main conclusion of the Venice Commission’s report and underlined, among others, that the Constitutional Tribunal did not have the right to issue the judgement of 9 March relying only on the Constitution and with the omission of the provisions that were subject to verification. One of the members of the team stated that “we have decided that the Tribunal cannot turn into the third chamber of the Parliament”42Gazeta Wyborcza, Zespół Kuchcińskiego przedstawił raport. “Wiele stwierdzeń Komisji Weneckiej ma charakter błędów bądź przeinaczeń”, available at: http://wyborcza.pl/1,75398,20486428,zespol-kuchcinskiego-przedstawil-marszalkowi-raport-wiele.html.. In this part of the report, the experts tried to find a proper justification for the amendments of December 2015. The second chapter of the report summarises the key events in the constitutional crisis while the third includes 10 suggestions for the new Act on Constitutional Tribunal and possible changes in the Constitution. The reception of this report was quite sceptical. Professor Wojciech Sadurski’s comment on the report suggests that it is “nonsenses aiming at improving the well-being of the current government”43Sadurski W., Pułapka dworskich ekspertów zespołu Kuchcińskiego. Wokół Trybunału Konstytucyjnego, Gazeta Wyborcza, available at: http://wyborcza.pl/1,75968,20523335,pulapka-dworskich-ekspertow-wokol-trybunalu-konstytucyjnego.html..
1. ↑ Obserwator Konstytucyjny, Kalendarium prac nad ustawą z dnia 25 czerwca 2015 r. o Trybunale Konstytucyjnym, available at: http://www.obserwatorkonstytucyjny.pl/artykul/kalendarium-prac-nad-ustawa-z-dnia-25-czerwca-2015-r-o-trybunale-konstytucyjnym/. 3. ↑ Radio Zet, Gość Radia Zet. Patryk Jaki, available at: www.radiozet.pl/Radio/Programy/Gosc-Radia-ZET/Artykuly/Patryk-Jaki-u-Moniki-Olejnik-00019704. 4. ↑ Case no. 47/15. 5, 7. ↑ Venice Commission, Opinion on amendments to the Act of 25 June 2015 on the Constitutional Tribunal of Poland, adopted by the Venice Commission at its 106th Plenary Session (Venice, 11-12 March 2016), available at: www.venice.coe.int/webforms/documents/?pdf=CDL-AD(2016)001-e.
6. ↑ Rzeczpospolita, Wyrok Trybunału Konstytucyjnego z 9 marca ws. nowelizacji ustawy o TK autorstwa PiS, available at: www.rp.pl/Sedziowie-i-sady/303099926-Wyrok-Trybunalu-Konstytucyjnego-z-9-marca-ws-nowelizacji-ustawy-o-TK-autorstwa-PiS.html. 8. ↑ wPolityce, Ziobro o nowelizacji ustawy o TK: „Ludzie, nie dajcie się robić w baranki. Ta ustawa sprawi, że padnie ostatni bastion Platformy, który miał blokować dobre zmiany w Polsce”, available at: http://wpolityce.pl/polityka/275953-ziobro-o-nowelizacji-ustawy-o-tk-ludzie-nie-dajcie-sie-robic-w-baranki-ta-ustawa-sprawi-ze-padnie-ostatni-bastion-platformy-ktory-mial-blokowac-dobre-zmiany-w-polsce. 9. ↑ Rzeczpospolita, Ziobro: Rzepliński to polityk całą gębą, available at: www.rp.pl/Rzad-PiS/160809375-Ziobro-Rzeplinski-to-polityk-cala-geba.html. 10. ↑ TV Republika, Waszczykowski: Pan Rzepliński coraz bardziej przypomina mi ajatollaha z Iranu, available: http://telewizjarepublika.pl/waszczykowski-pan-rzeplinski-coraz-bardziej-przypomina-mi-ajatollaha-z-iranu,30593.html. 11. ↑ TVN24, Polski trybunał pracuje wolniej niż niemiecki? Co kryje się za liczbami podanymi przez Ziobrę, available at: www.tvn24.pl/wiadomosci-z-kraju,3/ziobro-podaje-dane-o-polskim-i-niemieckim-trybunale-konstytucyjnym,606815.html. 12. ↑ Gazeta.pl, Niemiecki TK odpowiada Ziobrze: Praca trybunałów w Polsce i Niemczech nie jest wprost porównywalna, available at: http://wiadomosci.gazeta.pl/wiadomosci/1,114871,19413336,niemiecki-tk-odpowiada-ziobrze-praca-trybunalow-w-polsce-i.html. 13. ↑ TVN24, “Zebrał się zespół kolesi”. Rzecznik PiS o Sądzie Najwyższym, availabe at: www.tvn24.pl/wiadomosci-z-kraju,3/rzecznik-pis-beata-mazurek-o-sadzie-najwyzszym-zespol-kolesi,639007.html. 14. ↑ Law and Administration Faculty, Jagiellonian University, Uchwała nr 303/XI/2015 Rady Wydziału Prawa i Administracji Uniwersytetu Jagiellońskiego z dnia 30 listopada 2015 r., available at: www.wpia.uj.edu.pl/documents/41601/89321185/201512010845.pdf. 15. ↑ Resolution No. 1/2015 of the Committee for Legal Sciences of the Polish Academy of Sciences adopted on 26 November 2015, available at: http://www.knp.pan.pl/. 16. ↑ National Council of the Judiciary of Poland, Resolutions no. 1252, 1253, 1254 and the statement of 24 November 2015, available at: www.krs.pl/pl/aktualnosci/d,2015,11/3783,uchwala-nr-12522015-krajowej-rady-sadownictwa-z-dnia-24-listopada-2015-r-w-sprawie-skierowania-wniosku-do-trybunalu-konstytucyjnego-o-zbadanie-zgodnosci-z-konstytucja-rzeczypospolitej-polskiej. 17. ↑ National Council of the Judiciary of Poland, Resolutions no. 1253/2015, available at: http://www.krs.pl/pl/aktualnosci/d,2015,11/3784,uchwala-nr-12532015-krajowej-rady-sadownictwa-z-dnia-24-listopada-2015-r.
18. ↑ IUSTITIA, Uchwała Zgromadzenia Przedstawicieli Sędziów Apelacji Łódzkiej z dnia 30 listopada 2015 r., available at: www.iustitia.pl/uchwaly/1094-sedziowie-apelacji-lodzkiej-w-sprawie-tk-oraz-publicznych-wypowiedzi-dotyczacych-sadow. 19. ↑ Association of the Polish Judges IUSTITIA, Uchwała Zgromadzenia Ogólnego Sędziów Apelacji Szczecińskiej z dnia 1 grudnia 2015 r., available at: http://www.iustitia.pl/uchwaly/1095-sedziowie-apelacji-szczecinskiej-w-sprawie-tk-oraz-publicznych-wypowiedzi-dotyczacych-sadow. 20. ↑ Association of the Polish Judges IUSTITIA, Uchwała Zgromadzenia Ogólnego Sędziów Okręgu Sądu Okręgowego w Opolu, available at: http://www.iustitia.pl/uchwaly/1095-sedziowie-apelacji-szczecinskiej-w-sprawie-tk-oraz-publicznych-wypowiedzi-dotyczacych-sadow. 21. ↑ Uchwała Zgromadzenia Ogólnego Sędziów Apelacji Rzeszowskiej z dnia 11 stycznia 2016 r., available at: http://www.rzeszow.sa.gov.pl/dmdocuments/A-0000_4_15_59.pdf. 22. ↑ Uchwała Zgromadzenia Przedstawicieli Sędziów Apelacji Katowickiej z dnia 14 grudnia 2015 r., available at: http://trybunal.gov.pl/fileadmin/content/nie-tylko-dla-mediow/uchwala_apelacji_katowickiej.pdf. 23. ↑ Uchwała Zgromadzenia Sędziów Okręgu Sądu Okręgowego w Toruniu z dnia 26 lutego 2016 r., available at: http://www.obserwatorkonstytucyjny.pl/trybunal/sedziowie-z-torunia-o-naruszeniu-konstytucji/. 24. ↑ Supreme Court, The resolution of the General Assembly of the Judges of the Supreme Court, available at: http://sn.pl/aktualnosci/SiteAssets/Lists/Wydarzenia/NewForm/Uchwala_Zgr_Og_SSN_26_04_2016.pdf. 25. ↑ Supreme Administrative Court, Uchwała Kolegium Naczelnego Sądu Administracyjnego z dnia 27 kwietnia 2016 r., available at: www.nsa.gov.pl/komunikaty/uchwala-kolegium-naczelnego-sadu-administracyjnego-z-dnia-27-kwietnia-2016-r,news,4,309.php. 26. ↑ Association of the Polish Judges IUSTITIA, Uchwała Zgromadzenia Ogólnego Sędziów okręgu Sądu Okręgowego w Poznaniu z dnia 9 maja 2016 r., available at: http://www.iustitia.pl/uchwaly/1244-uchwala-zgromadzenia-ogolnego-so-poznan-9-maja. 27. ↑ Ombudsman’s Office, Wyroki Trybunału Konstytucyjnego, które wpłynęły na życie obywateli, available at: www.rpo.gov.pl/pl/content/wyroki-trybunalu-konstytucyjnego-ktore-wplynely-na-zycie-obywateli. National Council of the Attorneys at Law, Stanowisko Krajowej Rady Radców Prawnych z dnia 12 grudnia 2015 r., available at: http://kirp.pl/wp-content/uploads/2015/12/stanowisko-KRRP_12-grudnia-2015.pdf. 29. ↑ Polish Bar Council, Prezydium NRA deklaruje gotowość mediacji ws. sporu o TK, available at: www.adwokatura.pl/z-zycia-nra/prezydium-nra-deklaruje-gotowosc-mediacji-ws-sporu-o-tk/. 30. ↑ Polish Bar Council, Opinia NRA nt. projektu nowej ustawy o TK, available at: www.adwokatura.pl/z-zycia-nra/opinia-nra-nt-projektu-nowej-ustawy-o-tk/page/32/ and Polish Bar Council, Opinia NRA nt. poprawek do nowelizacji ustawy o TK, available at: www.adwokatura.pl/z-zycia-nra/opinia-nra-nt-poprawek-do-nowelizacji-ustawy-o-tk/page/30/. 31. ↑ Polish Bar Council, Opinia amicus curiae NRA ws. ustawy o TK z czerwca br., available at: www.adwokatura.pl/z-zycia-nra/opinia-amicus-curiae-nra-ws-ustawy-o-tk-z-czerwca-br/page/34/, Polish Bar Council, Opinia amicus curiae ws grudniowej nowelizacji ustawy o TK, available at: www.adwokatura.pl/z-zycia-nra/opinia-amicus-curiae-ws-grudniowej-nowelizacji-ustawy-o-tk/page/24/, Polish Bar Council, Opinia NRA amicus curiae ws uchwał Sejmu z 25 listopada i 2 grudnia ub.r., available at: www.adwokatura.pl/z-zycia-nra/opinia-nra-amicus-curiae-ws-uchwal-sejmu-z-25-listopada-i-2-grudnia-ubr/page/29/, Polish Bar Council, Opinia amicus curiae ws grudniowej nowelizacji ustawy o TK, available at: www.adwokatura.pl/z-zycia-nra/opinia-amicus-curiae-ws-grudniowej-nowelizacji-ustawy-o-tk/page/24/. 32. ↑ National Council of the Attorneys at Law, Komunikat prasowy w sprawie opinii amicus curiae dla Trybunału Konstytucyjnego, available at: http://kirp.pl/komunikat-prasowy-w-sprawie-opinii-amicus-curiae-dla-trybunalu-konstytucyjnego/, National Council of the Attorneys at Law, Opinia Krajowej Rady Radców Prawnych występującej jako amicus curiae dla Trybunału Konstytucyjnego, available at: http://bibliotekakirp.pl/items/show/502, National Council of the Attorneys at Law, KRRP o projekcie PSL dotyczącym zmian w ustawie o TK, available at: http://kirp.pl/krrp-o-projekcie-psl-dotyczacym-zmian-ustawie-o-tk/. 33. ↑ Gajcy A., Orzeczenia TK nie zawsze są ostateczne, Rzeczpospolita, 19 April 2016, available at: www.rp.pl/Rzecz-o-polityce/304199890-Orzeczenia-TK-nie-zawsze-sa-ostateczne.html. 34. ↑ As reported by the Public Television. TVP Info, Zobacz wypowiedź Kamila Zaradkiewicza, przez którą poproszono go o odejście ze stanowiska, available at: www.tvp.info/25116537/zobacz-wypowiedz-kamila-zaradkiewicza-przez-ktora-poproszono-go-o-odejscie-ze-stanowiska. 35. ↑ The Constitutional Tribunal, Press release of 29 April 2016, available at: http://trybunal.gov.pl/fileadmin/content/nie-tylko-dla-mediow/Komunikat_z_29_kwietnia_2016_r._w_sprawie_sytuacji_dyrektora_ZOiS.pdf. 36. ↑ Rzeczpospolita, Profesorowie Uniwersytetu Warszawskiego obronie dr Kamila Zaradkiewicza, available at: www.rp.pl/Sedziowie-i-sady/305209927-Profesorowie-Uniwersytetu-Warszawskiego-obronie-dr-Kamila-Zaradkiewicza.html#ap-2. 37. ↑ The letter (in Polish) is available at: www.hfhr.pl/wp-content/uploads/2016/05/HFPC_list_05052016.pdf. 38. ↑ Helsinki Foundation for Human Rights, Public officials’ freedom of speech, available at: www.hfhr.pl/en/public-officials-freedom-of-speech/. 39. ↑ TVN24, Z szefa zespołu na asystenta. Po dymisji pozwał Trybunał Konstytucyjny, available at: www.tvn24.pl/wiadomosci-z-kraju,3/kamil-zaradkiewicz-pozywa-trybunal-konstytucyjny,658633.html. 40. ↑ Sejm, Spotkanie Zespołu Ekspertów do spraw problematyki Trybunału Konstytucyjnego, available at: www.sejm.gov.pl/sejm8.nsf/komunikat.xsp?documentId=56063CB59E91F3C8C1257F870053B175. 41. ↑ Gazeta Wyborcza, Zespół Kuchcińskiego przedstawił raport. “Wiele stwierdzeń Komisji Weneckiej ma charakter błędów bądź przeinaczeń”, available at: http://wyborcza.pl/1,75398,20486428,zespol-kuchcinskiego-przedstawil-marszalkowi-raport-wiele.html. 42. ↑ Gazeta Wyborcza, Zespół Kuchcińskiego przedstawił raport. “Wiele stwierdzeń Komisji Weneckiej ma charakter błędów bądź przeinaczeń”, available at: http://wyborcza.pl/1,75398,20486428,zespol-kuchcinskiego-przedstawil-marszalkowi-raport-wiele.html. 43. ↑ Sadurski W., Pułapka dworskich ekspertów zespołu Kuchcińskiego. Wokół Trybunału Konstytucyjnego, Gazeta Wyborcza, available at: http://wyborcza.pl/1,75968,20523335,pulapka-dworskich-ekspertow-wokol-trybunalu-konstytucyjnego.html. Lawyer and researcher at the Helsinki Foundation for Human Rights, Poland. She holds a Master’s degree in Law from Warsaw University. Since December 2009, she has worked at the Helsinki Foundation for Human Rights (HFHR) where she is responsible for research projects (in cooperation with, among others, the European Union Agency for Fundamental Rights). She has carried out numerous research projects dedicated to the issues of access to justice, independence of justice, child rights protection, support system for victims of crimes and rights of persons with disabilities. She is also responsible for the communication strategy.